V.R. 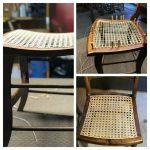 Weaving has over 15+ years experience doing cane, fiber rush, splint wood seats, Danish cord, and teach classes. 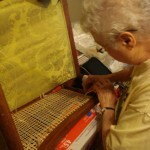 Most reweaving can be completed within a two-week period. 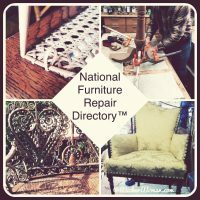 Pick-up and/or delivery in the DC area, Richmond and others for an additional fee. 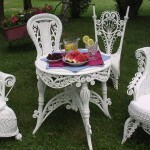 Bring in more than two chairs–get a 10% discount! 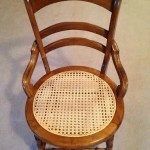 Please visit the “Chairs” page on my website for additional pictures of chairs reseated over the years. 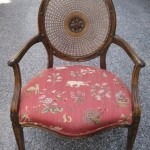 Contact by phone or email is welcome. 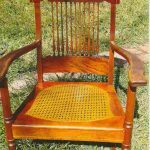 Step-In-Time-Antiques is a home-based business specializing in hole-to-hole chair caning, pressed/machine/spline cane, and binder cane in various patterns (e.g. 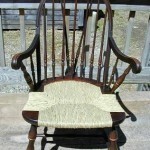 herringbone, New England Porch Weave, Finger Lakes Fan Weave, etc. ), paper fiber rush and Shaker tape weaving. 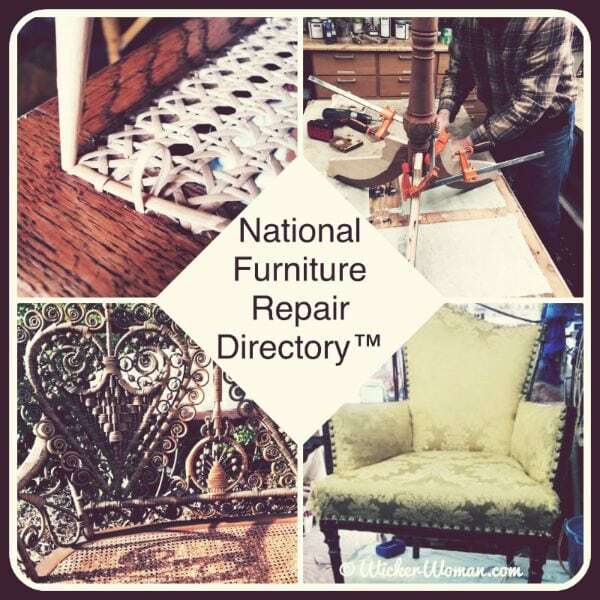 Will do some minor structural repair. 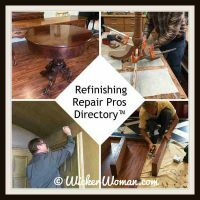 Free estimates and local pickup/delivery. Good rates! 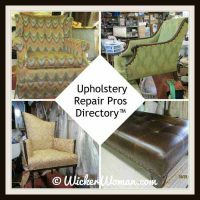 REDUX FOR YOU–Bring your cherished chairs back to life! 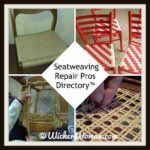 We do hand-cane, press-cane, fiber rush, natural rush, seagrass, splint, porch weave, wicker repair, and novelty seating. 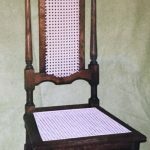 Our novelty tie and woven belt chairs make a unique gift! 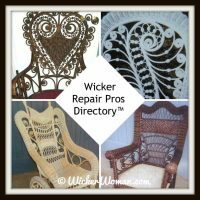 If you are in Connecticut, you can find some at Muldoon’s Landscaping and Marketplace in Coventry, CT. It’s also a drop-off and pick-up location for chair repair if you are close to that area. Call for pick-up in Northern Connecticut. 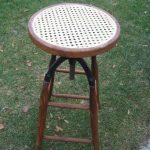 Several years of seating and refinishing experience. Visit our website to see many examples of our best work and teaching schedule. 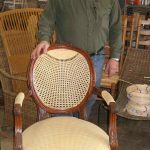 Since 1974, Greene’s Furniture Restoration has provided quality furniture restoration including chair caning, stripping, repair & refinishing. 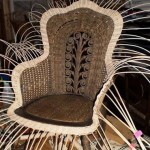 30+ years experience in Albany, New York area, now there with a 1,200 square foot shop. Past satisfied customers from the NY area, PA, VT, NC, and Ontario. 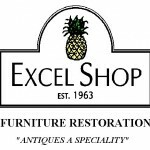 Call to see what we can do for you! BeSeated.ca started in 1969, takes pride in offering quality repairs, sales and lessons in caning, rush, rawhide, wicker furniture repair, reed, seagrass and Danish cord. 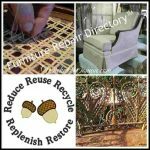 We also provide regluing service and minor wood repairs. 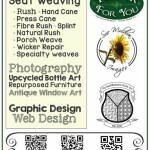 Call or email for directions to the shop. 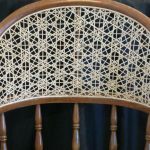 Fran’s Chair Caning in Cuyahoga Falls, Ohio, a home-based chair caning business has specialized in seat weaving and repairing chair seat patterns for over 25 years. 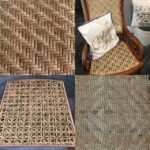 Skills are in weaving fiber rush and natural rush products, cattail rush, seagrass, pressed cane, seven-step traditional hand cane and splint weaves. 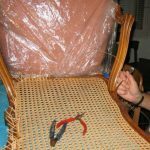 Quality work and reliable, call today for the TLC your chairs need!